It will be my fifth year at the AGP in a Supercar, but the first time racing for championship points. I think everyone is excited to finally race for points there, after so many years of it being a non-championship round. Previously racing at this event has been all about pride. Of course, I want to win anytime I’m on the track, but it’s no secret that it’s also been used as an opportunity to test new parts or setups. Now that it’s a proper race meeting, it will ensure everyone puts their best foot forward because crucial championship points are on the line. Last year’s AGP was a bit of a disaster for me. A brake caliper failed heading into turn 1 and I crashed heavily with Lee Holdsworth. I reckon it was probably the biggest crash of my career. I went back there recently and had a look at that part of the circuit. The tyre marks and marks in the fence are still there as a reminder! Last year Brad Jones Racing overall had a lot of pace there. My teammate Tim Slade was inside the top five all weekend, so I’m confident we can run there again this year. We promised more in testing than what we delivered at the Adelaide 500, which was disappointing. On the upside … we had a bad weekend in Adelaide and still finished 11th, so I hope that when have a good weekend we can be fighting for a podium. I think we’ve got to the bottom of a few minor issues we had in Adelaide and I know there’s a lot more we’ll get out of our ZB Commodores. 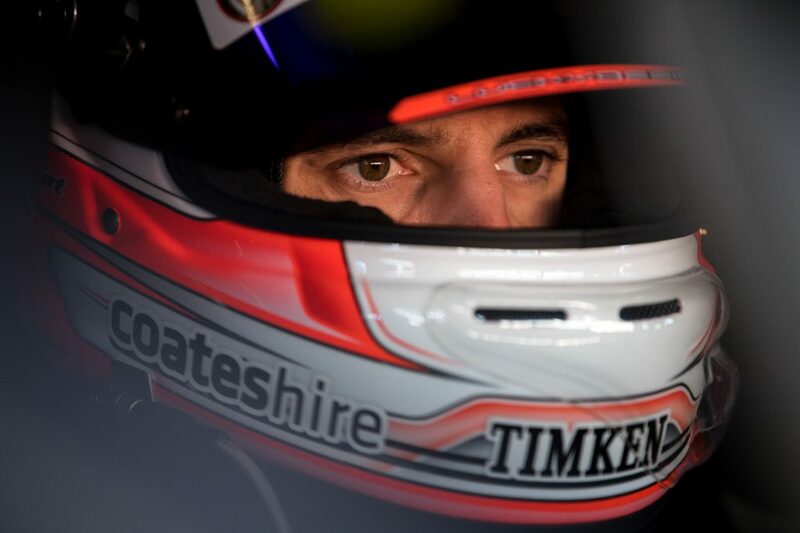 The format of the Coates Hire Melbourne 400 includes four short qualifying sessions- one for each race. Two of them will be held on Thursday in the twilight so the track will be cold and grippy. The next two are in the early afternoon on Friday, in peak sun and temperature so the track will be slower and require a different set up. The different track conditions could throw up some surprises in the way the field is spread, so that’s something to look forward to as well. There’s two 70 km races and two longer races that will include a compulsory pit stop. The softer compound Dunlop tyre is also in the mix, and this will add a new element of strategy that we’ve not seen before at this circuit. There’s plenty to get excited about as both a driver and a race fan! My sponsor Coates Hire always bring a huge contingent of supporters to the AGP, and I’m fortunate that I get to be involved in some cool activations throughout the race week. I can’t wait for it all to get started. You can follow me on social media for updates across the event.